Dennis Herron Murphree (1886-1949) of Pittsboro, Mississippi had the singular distinction of serving twice as governor of Mississippi without ever being elected to office. He was twice elected to the lieutenant governorship, once in 1923 and again in 1939. In each instance, he succeeded the governor who died in office and completed the term of his predecessor. In March 1927, he became Governor of Mississippi after the death of incumbent Henry L. Whitfield and served for about ten months until Theodore G. Bilbo, who defeated Murphree in the Democratic Party primary by 10,000 votes, was sworn into office in January 1928. With the death of Gov. 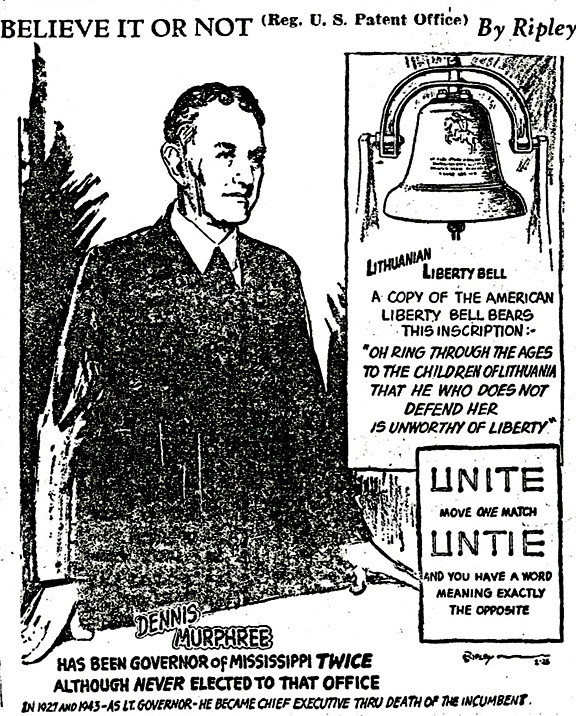 Paul B. Johnson, Sr. in December 1943, Murphree finished out the three weeks left in Johnson’s term, serving until the swearing in of Thomas L. Bailey in January 1944. In order to tell the story of the “Skuna Valley Railroad” and the new town of Bruce, in Calhoun County, Mississippi, it will be necessary for me to go a long way back as to make the proper beginning. It was, I think, in the year 1901, that a very smart, shrewd old Michigan lawyer first came into Calhoun County. His name was Roger W. Butterfield. 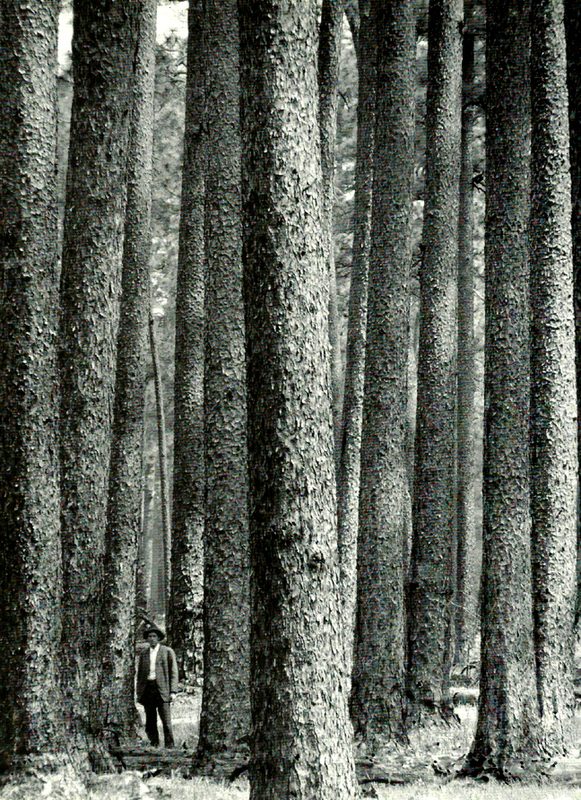 Mr. Butterfield had watched the huge white pine forests of Northern Michigan fall relentlessly under the lumbermen’s saws and axes, and he realized that timber would sometime be a real item of value, and so having some money to invest, he looked about over the country for some places where timber could be bought cheaply and in bountiful supply. Somehow, he chose the South and Calhoun County, Mississippi as the base for his operations and investments. He sent several men of his own force into the county seeking to buy land and timber, employed Attorney J. L. Johnson at Pittsboro as his local attorney and then hired Andy J. Bounds of the Bounds neighborhood and one of the county’s best citizens to represent him as land buyer and local representative. These people immediately entered on a land and timber buying campaign which lasted several years. They took their time, looked about, located land which was not expensive and which was covered with fine timber and then made the purchase. They did not seek to link up all the tracts, although naturally they preferred to buy in a block as much as possible. In the main, however, they avoided buying any in cultivation. They bought large acreage in the Schoona River Valley, and they bought many tracts in the hills. Most of their purchases, however, were north of a line which might have been drawn east and west through the center of the county. When finished the Butterfields owned some twenty-five thousand acres of timbered lands in Calhoun County and some three thousand in Yalobusha with a small amount in Lafayette and Pontotoc Counties. The average price paid for these lands was approximately $2.50 per acre. It would be a real treat for members of the younger generation to see today the giant trees which made up a large part of the growth on these Butterfield lands. In the river and creek valleys the huge forked leaf white oak trees grew often fifty feet from the root to where the first limb appeared, and several feet across the base. Other hardwoods grew in like size and great abundance. In the hills, the old “virgin” pines dotted the hillsides and they too were a sight to behold, because they grew so tall, so straight, so uniform and with only a small cluster of limbs in the very top. On the hillsides too as in the valleys, grew every specie of hardwood likewise in great abundance. Until the coming of the Butterfields, these trees were valueless on the market. In fact, the first time in my life I ever knew about timber of any kind being sold was when some stave workers came into Schoona Valley near where we lived at Oldtown and paid $1.00 per tree for huge over cup and white oak trees several feet through, provided these trees would “split” after being cut down, meaning that provided they could easily be split up into staves six feet long. If the tree did not split well, they simply abandoned the log and went away leaving these huge logs, the kind which became almost priceless in later years, to rot where they fell. 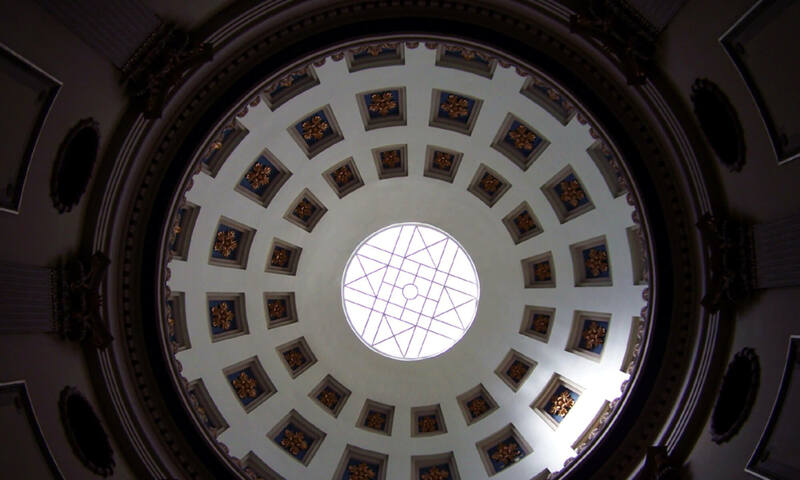 I well remember that during the winter of 1902-3, Mr. Butterfield sent a young lawyer and a young lady who was an expert clerk, though not a lawyer, down from Michigan and they spent the winter in the old courthouse making abstracts of the land which Butterfield had up to that time purchased. These two people were a source of much amusement to the young people of that date, with their, to us, Northern accent, quaint expressions, unusual customs, etc. I am sure that on their part, they found us even more amusing. 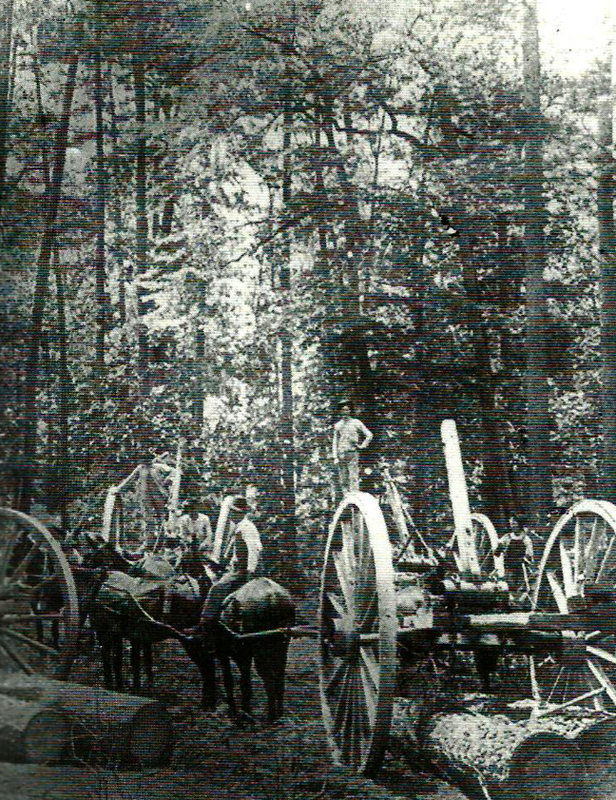 Time passed, and Roger W. Butterfield went the way of all mankind, but his heirs held on to the Calhoun County lands and timber and each year paid their taxes regularly, while from time to time, a few more acres were bought and added to their holdings. Along about 1920, however, these owners began to feel the urge to sell and dispose of their property. 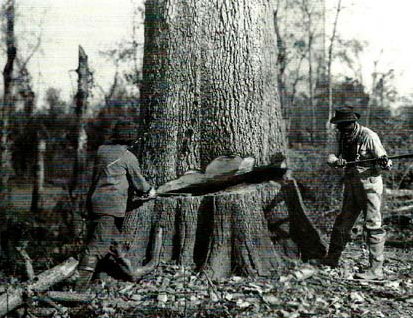 This was probably because timber prices had advanced to such an extent that they could secure a huge profit on their original investment; and, second, because with the cutting of canals in the rivers and creeks and the issuance of bonds for roads, schools, etc., their Calhoun county taxes, which in the beginning had been practically nothing, began to be a heavy burden. 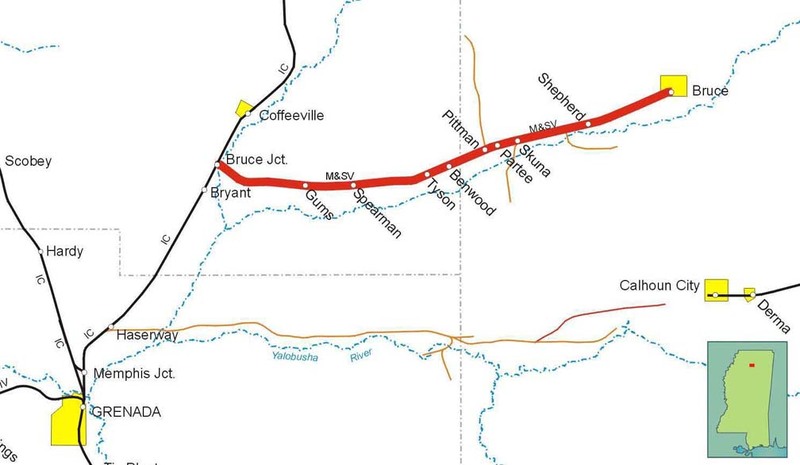 I have related how that over all the long years, it had been the dream of the people in Pittsboro and the Northern section of the county that someday they would see the building of a railroad into that section. Along about 1921, it became known that the Butterfield interests would sell their holdings in Calhoun, and hope began to be revived as to the possibilities of a railroad being built out into our section in order to carry the timber. It will be remembered that this was in the days when the huge log trucks powered by gasoline and used over concrete roads were utterly unknown in our section. Much discussion was had between various citizens and firms seeking some plan to accomplish the result desired. Acting on instructions from an organization of Calhoun County business men, a meeting was arranged whereby representatives would go to Chicago and there meet with Mr. Markham, President of the Illinois Central Railroad, and seek to interest him and his railroad in the idea of building a short line of railroad either from Coffeeville or Bryant out to Pittsboro. Mr. H. H. Creekmore of Water Valley, a native Calhoun citizen, Mr. Jim L. Johnson and I were chosen by our people as their representatives on the proposed trip. This I remember it was in 1922. Agreeable to plan, we three went to Chicago and had a lengthy and friendly session with Mr. Markham. We found him very sympathetic to the proposal. Naturally so, since it would mean an immense amount of tonnage to be hauled by the Illinois Central Railroad after it had been brought out to their main line. However, Mr. Markham would not agree to undertake the building of the short line. 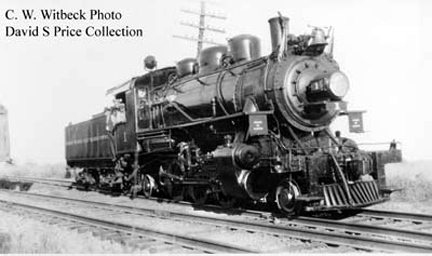 He promised that IF we could get some timber manufacturer or sawmill company to buy the Butterfield tract and the railroad right of way and do the grading for the new railway, the Illinois Central would furnish the steel rails for the road and when finished would also furnish the locomotives and box cars to use on the new railway on a very long time sale plan with a low interest rate. Our people were very well pleased with the report of the Committee, and then began an effort to try to interest some timber company or manufacturer in buying the timber and building the railway. This kind of effort went along over a period of two or three years. I remember that on my own personal expense and with the consent of the Butterfield folks, I placed an advertisement costing a neat sum in the Manufacturers Record of Baltimore, briefly outlining this situation. I had a number of replies and furnished each with quite a bit of information. I had nothing to do with the making of the deal between the Bruce Company and the Butterfield heirs when the timber we have been talking about finally passed out of the Butterfield hands. I have always thought, however, that it was easily possible that all the planning, talking, advertising and publicity which I and others in Calhoun County had been doing, had something to do with bringing this matter to the attention of the Bruce Company folks and therefore the ultimate result. The Attorney General of the state, who was Hon. Rush Knox, himself a native son of Calhoun county, but at that time a citizen of Chickasaw, approved this charter and at ten o’clock A.M. on the 1st day of June 1925, as Acting Governor of Mississippi, it was my sincere pleasure to sign the Charter for this railroad for which along with many other Calhoun folks I had worked for and hoped for so long. I pause long enough to say that later on, by amendment, the name of the railroad was changed from “Schoona Valley” to “Skuna Valley”. This, I think came as a result of effort made by Will C. Bryant, who had always claimed that “Skuna” was the proper way to spell the name of the Valley. Personally, I think “Schoona” is correct, because all of the old records, manuscripts, etc., which I ever saw in Calhoun County spelled it that way. Slowly the new railroad was built, and during the year 1926, progress was made in laying off and planning the new town. The name decided upon for it was “Bruce” because of the fact that the Bruce Lumber Company of Memphis, Tenn., was the force behind the plan. Governor Whitfield became ill during the summer of 1926 and spent almost all the rest of the year in a hospital in Memphis. So I was very busily engaged during the period acting as Governor during his absence. It is my recollection that in such capacity I also signed the Charter for the new town, but of this I am not positive. Anyway they named one of the streets in the new town for me, for which I have always been grateful. Governor Whitfield returned to Jackson in February, but rapidly grew worse and died on the 18th day of March 1927. After the Constitution, I succeeded him, and on taking the oath of office became the 35th man in our state’s history to be Governor of Mississippi. It has not been my intention at any time to clutter up these pages with stories of my various political campaigns. I will say again, however, that Calhoun County people have never failed me, and I have carried the county by a large majority in each and every race that I made. This has always been a source of much pride and gratitude to me. By force of circumstances, I was “pitchforked” into the race for Governor in 1927. I had not planned to run, and felt always that I would be defeated but after Governor Whitfield’s death, it became necessary that I run or forever be branded as one who was afraid to try. In July 1927 my Calhoun County Campaign Committee planned a huge barbecue and political picnic for me and chose as the spot for this great gathering the location of the brand new town of Bruce. I think that it was on July 4 1927. The location was what is now the public square at Bruce, which at that time was only an old field with only one or two houses. Thousands of people from all over the state attended, and it was truly an enthusiastic and heartwarming affair. 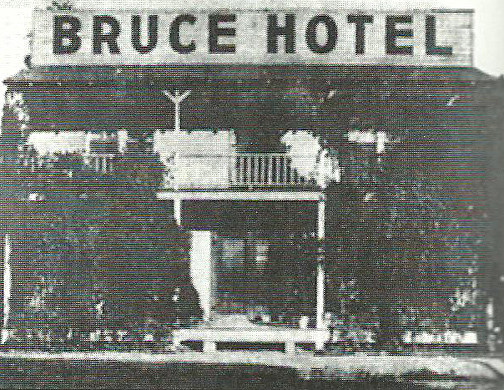 This was the very first public gathering ever held in Bruce, Mississippi. The new town of Bruce grew rapidly. Besides the huge Bruce Company mill, several other timber manufacturing plants were established there. A number of people from over the county moved in and set up various lines of business. Too, there was in influx of immigration from several of the northeastern counties of the state, particularly from Tishomingo and Alcorn counties. These new people settled largely in the Bruce area and many of them still remain in that section. 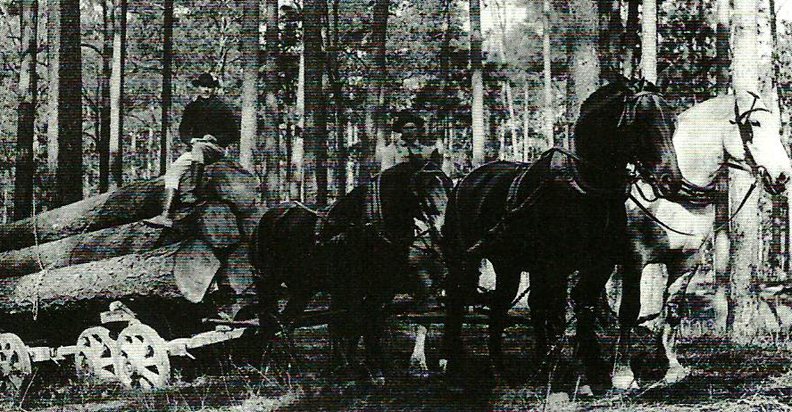 Another thing which contributed to the growth of the new town was the policy adopted by the Bruce Company of selling off its valley lands as soon as they cut the timber. The land bought at a reasonable price was immediately opened up for cultivation so that now, for miles up and down the Schoona Valley, where I had as a boy hunted for squirrels, turkeys, etc., there flourished the finest farms in the country. New roads began to be projected: one going east toward Houlka out of Bruce, another west down the Schoona valley toward Coffeeville; another toward Water Valley. Neither of these roads has been fully improved as deserved, but all hope that they will be in good time. Laying out of these roads had an odd effect on the old time traveler who returned to view the section. Oftentimes he found himself “lost” in a neighborhood or area where in former years he was absolutely familiar.